Welcome to the Neighborhood, Yoleni’s! It’s been a little over a month since Yoleni’s opened on Westminster Street, yet it feels like they’ve always been here. It has us wondering, how did we survive before they opened? The first time we went into Yoleni’s, owner Alexandra Georgiou greeted us warmly and began introducing the foods they have at Yoleni’s. We had so many delicious tastes, that we caved and stayed for lunch, and returned the next night for dinner. 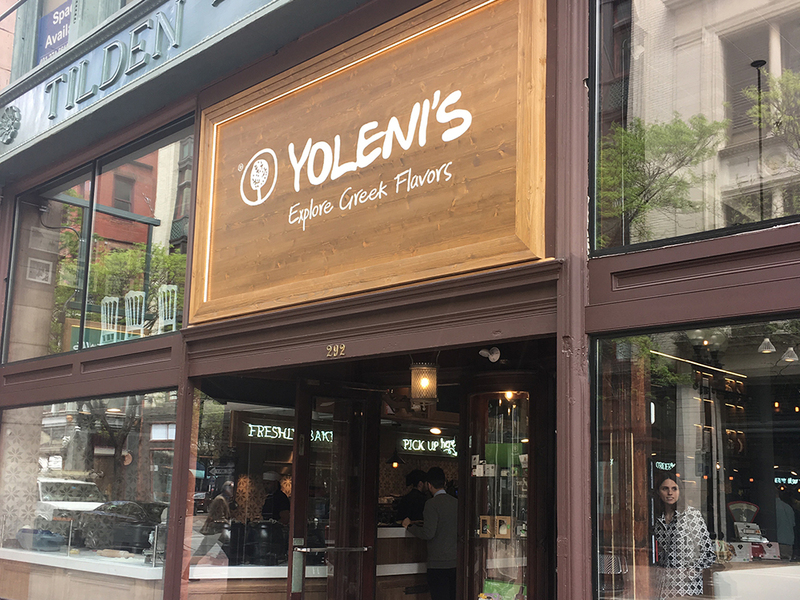 Yoleni’s comes to Providence directly from Greece. The original Yoleni’s is located in Athens, Greece, where it also operates a successful online store that ships worldwide. When the owners wanted to open a US location, they chose Downtown Providence. Originally from Newport, Alexandra felt strongly that their flagship location be in the capital city, and ideally in a historical building. The minute they saw the Tilden-Thurber building at the corner of Westminster and Matthewson Street, they knew this was the spot. Part store and part restaurant, Yoleni’s really does bring a piece of Europe to Westminster Street. The store features a wide selection of items imported directly from Greece, alongside locally made items. Their large selection of roasted nuts are all freshly roasted, and contain no preservatives. 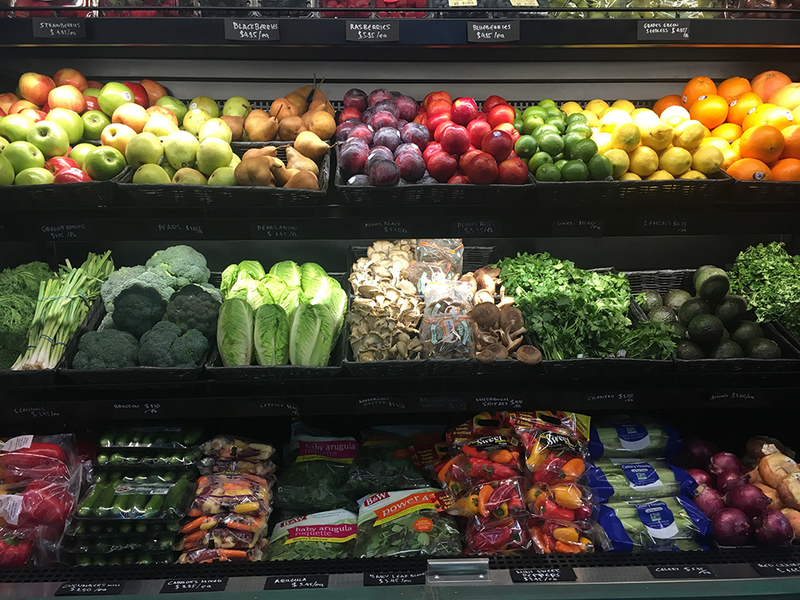 They have a cooler with fresh produce, a full deli with meats and cheeses, and items made in-house to grab and go. The best part? If you’re not sure what something is, the staff is not only knowledgeable, but so passionate about the food from their country…plus, they are quick to give you tastes! The restaurant features items you can grab and go if you’re on your lunch break or heading home, but there are also tables and service to dine in. Rather than import every single ingredient from Greece, Yoleni’s imported the Executive Chef from their Athens location. Prior to opening, Chef George spent months researching and developing dishes using local ingredients where he could to maintain the same flavors and quality. It was important to them that they maintained the same level of quality in Providence as their original Athens restaurant. Not sure where to start? Here are three delicious suggestions. Their yogurt is, as Alexandra says, “As real Greek yogurt should be.” It is made in the US, using sheep’s milk from Vermont. 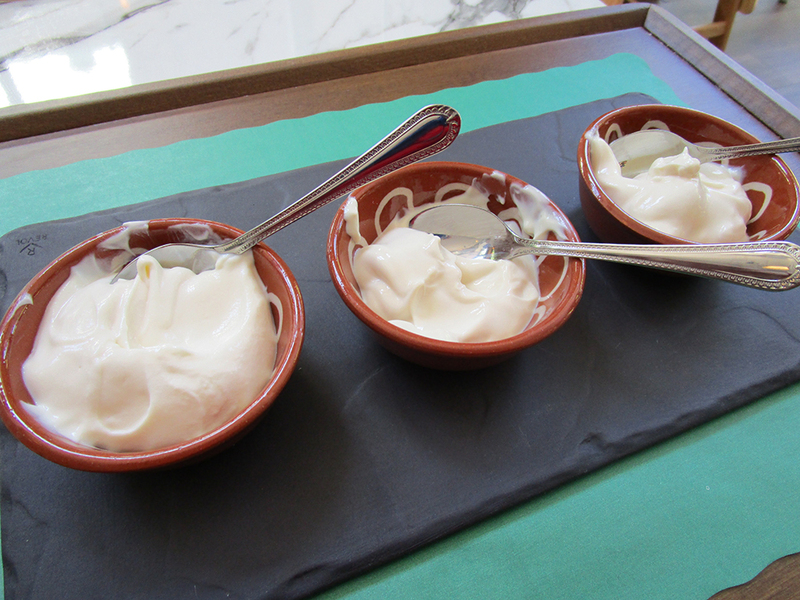 Low in fat, high in calcium, their yogurt is all natural and silky smooth. Order a cup, and add some toppings. 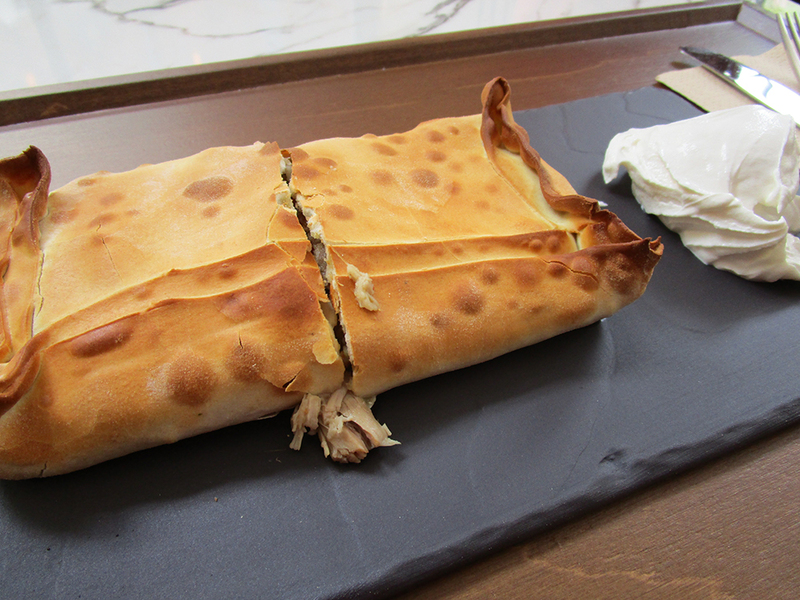 Their signature dish, the pitas are made to order and absolutely delicious. Savory or sweet, there are many filling variations to choose from. The restaurant’s wine list has an extensive selection of Greek bottles, which you don’t find very often. 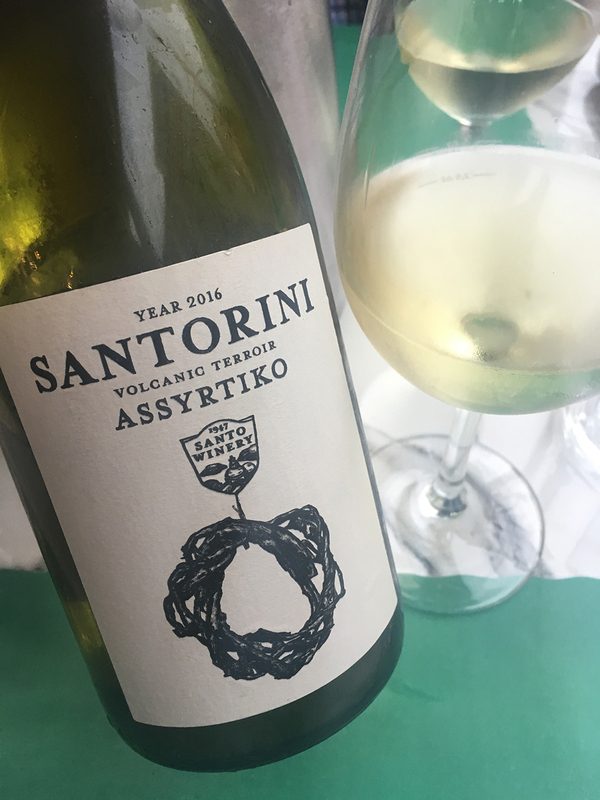 For many years, Greek wine was misunderstood in the US, mostly because very little was exported, and what was exported wasn’t very interesting. Yet Greece has a rich and varied wine tradition, and many wineries are being inherited by the younger generation who want to show off their tradition to the rest of the world. Look for wine tastings in the future! Have you been to Yoleni’s? Tag us on Instagram and let us know what you’re eating! Cheers!